If I was a brave person, that would be my go to way to make beans. I still have the scene from Cheers where the pressure cooker exploded in my mind. I know that proper pressure cooker usage is safe, but I just see me not being patient and messing it up. So, my sister, Jammin’ Judy, is now dubbed the pressure cooker queen! 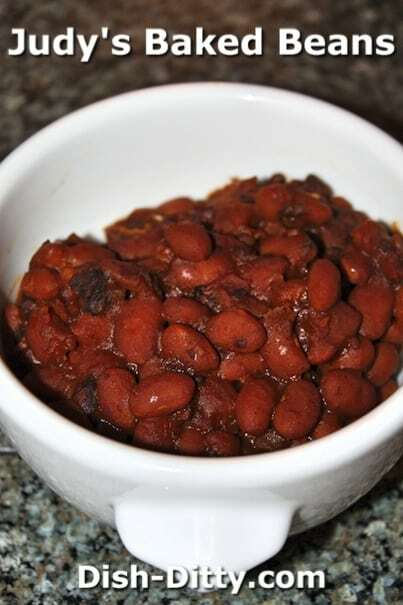 I think these beans would work great in the oven as well, but instead of 45-50 minutes, it would probably be 2-3 hours and require a little more water. To make the beans spicier, you can add hot mustard, hot sauce or white pepper. My preference would be white pepper. Heat pressure cooker and sear diced salt pork. Add remaining ingredients and add just enough water to cover beans. Place cover on cooker. Pressure cook for 50 minutes a 3 3/4 lbs of pressure or 45 minutes at 15 lbs of pressure. Reduce pressure with cool water. Taste and adjust seasonings as needed. You may need to add more mustard or salt. 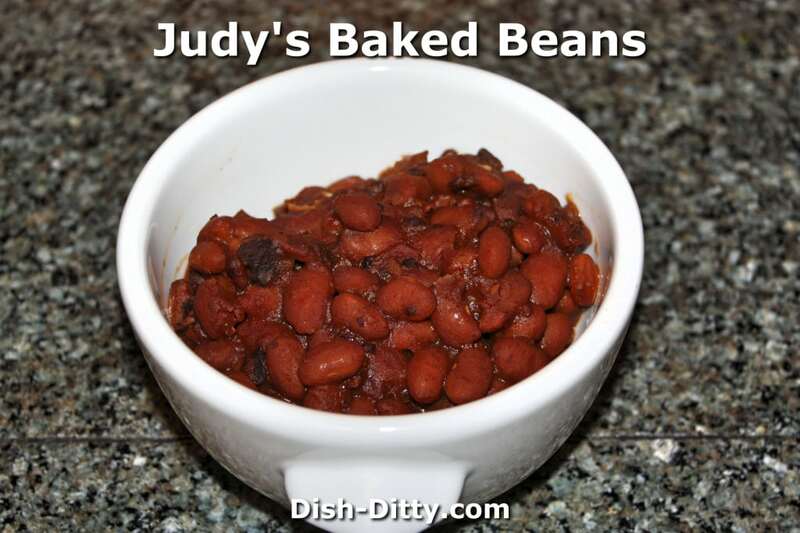 If brown crust on beans is desired, place in a casserole in a hot oven or under a broiler for a few minutes. 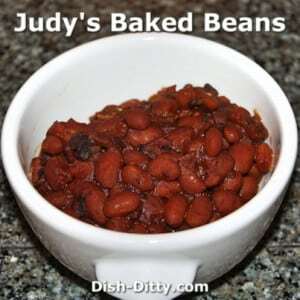 No Replies to "Judy's Baked Beans Recipe"